In this digital age, where clients need to have their requirements met straight away, it is time to embrace the cloud and use an online appointment scheduling and invoicing software. People go to accountants to get their finances on order and organised. With end of the month online tax returns due, accountants can be inundated with requests from other small businesses. Yet it can be a challenge scheduling appointments with an accountant out of office hours at a time that is convenient. Multiple sources show that 35% of clients prefer booking appointments during after office hours. Not only that, but 25% of millennials (those under 35 years old) only book appointments online. By having a cloud based online appointment software such as Grow in Cloud; you are able to offer a streamlined booking process to make scheduling an appointment a breeze. You also reduce the administrated tasks involved; taking calls, checking appointment dates with accountants then getting back to clients to confirm appointments. As an accountant, you work hard to grow and develop your tax services company, as well as build a reputation in the tax and accountancy industry. So, having a software, that can automate this task for you, would make things a lot easier! Late payment is a common problem faced by small businesses in the UK. Currently there is £55 billion in unpaid or outstanding invoices in the UK, which is an average of “£12,000” per business. Furthermore, 41% of B2B invoices miss the payment due date. Any unpaid due amount has an impact on business. Cash flow is really important and many small business owners believe it is the most important metric for your business. A sole trader and small businesses will say that if they are not paid on time by a client, it leads to financial difficulties because the cash flow is essential for the business to survive. By April 2019, businesses above the VAT threshold will need to keep digital records and provide quarterly updates to HMRC for their VAT. From 2020, this should apply to all other businesses who will need to provide quarterly updates to HMRC for their VAT, Corporation Tax, Income Tax and National Insurance obligations digitally. It is a significant change and means the end of the annual tax return to be replaced by an online tax account with all your information in one place. This change means that you may need to move from your existing desktop or manual record keeping and onto an online accounting software, such as Grow in Cloud. Here you can produce customised invoices to generate e-invoices and allow your clients to be able to pay online quickly. Here are 9 benefits of having a cloud based online booking and invoicing system for accountants. A cloud based online appointment software can be accessed anywhere any time and from any device such as laptop, tablet and smart phone. This results in making your business available 24/7 for customers to book an appointment, rather than traditional method of calling the receptionist, between 9am and 5pm Monday to Friday. A 10to8 study found the most popular time for booking appointments is between 4pm and 8pm on Sunday. By not offering an online booking option, your accountant business could lose out. 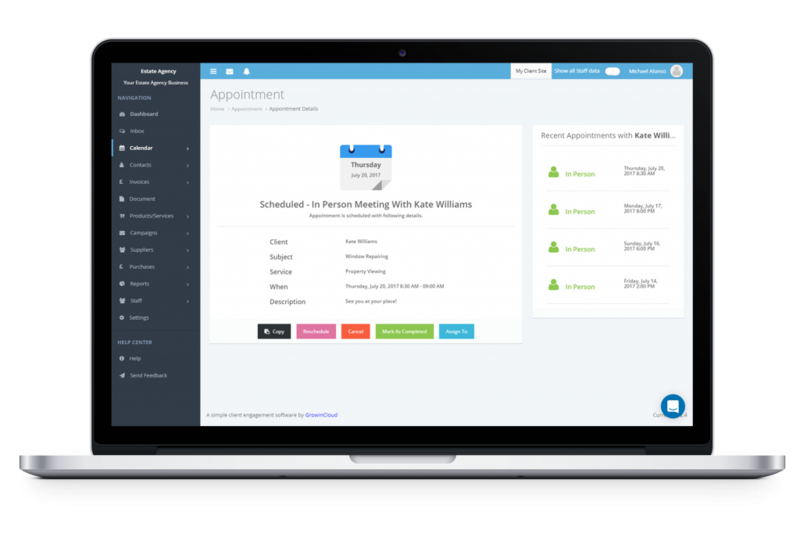 Online invoicing allows you to create and distribute multiple invoices very quickly and in one go. The automated functions such as data filing, price of units/ services and VAT is calculated for you. Most clients, in particular those that are known as Generation X and Millennials, prefer to use digital methods to book a service. They also like to have an option to book it at their convenience. A study by Yodle showed more than 25% of customers want businesses to give choice of booking an appointment and making payments online. You can list your services on a client site such as “Tax Planning”, “VAT Returns”, which will be linked to your calendar availability. By allowing clients to self-book online, will give your company the opportunity to sell your services 24/7 and not have them only rely on calling you during working hours. This reduces a lot of your precious time, consumed on telephone and email to book and confirm appointments. An online appointment booking systems reduce no show ups. 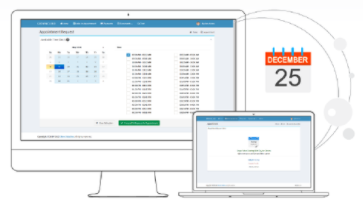 Grow in Cloud gives you an option to send SMS/Email reminders to clients prior to the appointment as well as offering to take “down payments” from clients. You can customise reminder settings according to your business need; be it one day or 4 hours before the appointment. These have been known to dramatically reduce missed appointments as clients then have the option to reschedule if they cannot make the appointment. This allows the slot to be free for other clients. You can get notifications when your clients have read your invoices online. So you don’t have to worry about those “lost in the post” or “I didn’t receive the invoice” moments. 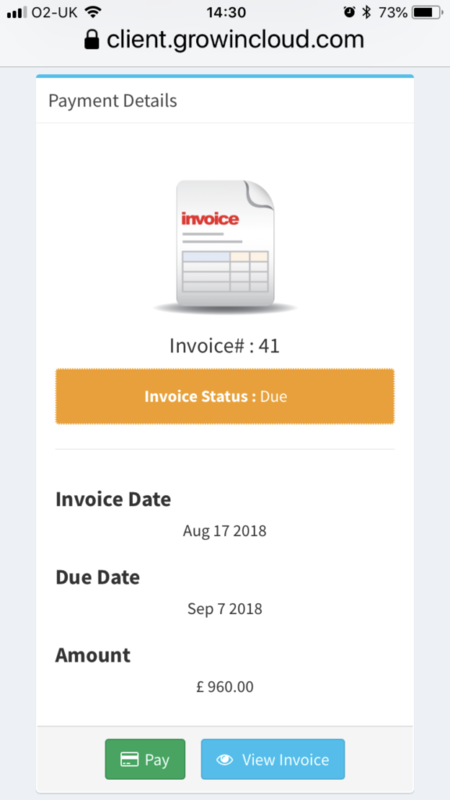 This software has a “late reminder” feature which sends a payment reminder to customer, once the due date is passed and payment had not been made. Allowing clients to be able to pay online also reduces the risks of late payments. Like you, your clients are busy people too. So make things easier for them and let them pay online. If you are running a busy accountancy practice, you would have assigned an account manager/accountant for your clients. An online appointment system enables you to manage your staff calendars. You can customise times for each service and the hours and days around the availability of different staff members. On the client site you can list services offered by each staff member, which clients can book directly during the time/day of their preference. It also keeps a log of all bookings so you can track what services are more popular or if you need to rearrange staff timings. If you work with international clients or have offices in other parts of the world, having an appointment booking system that allows you to choose the correct time zone makes life a lot easier and more efficient. You can also send invoices in multiple currencies and use different languages for your invoices/documents online. An online booking system can become a great asset in your marketing campaign. If you are sending out a promotional Email or SMS campaign, you can add “Book Buttons” to it. This can help in converting interests to leads by enabling a client to book an appointment with you straight away. It can help you build your email list and nurture leads. Social Media is now becoming an important part of people’s lives. Facebook is the most used social media channel; it has more than 2 billion active users. Facebook Business Manager can help market your accountancy business. It allows you to control and custom your audience, based on their interest, demographics, income and buyer trends. By having a ‘book me’ button on your Facebook Business page, you allow more ways for potential clients to reach you. Grow in Cloud enables you to embed a booking button and take bookings directly from Facebook, as well as take bookings from Twitter and Instagram by sharing the Client Site URL. You can manage and search your appointments/ invoices online rather than flicking through order books, paper files-and needing space in your office for large chunky filing cabinets! 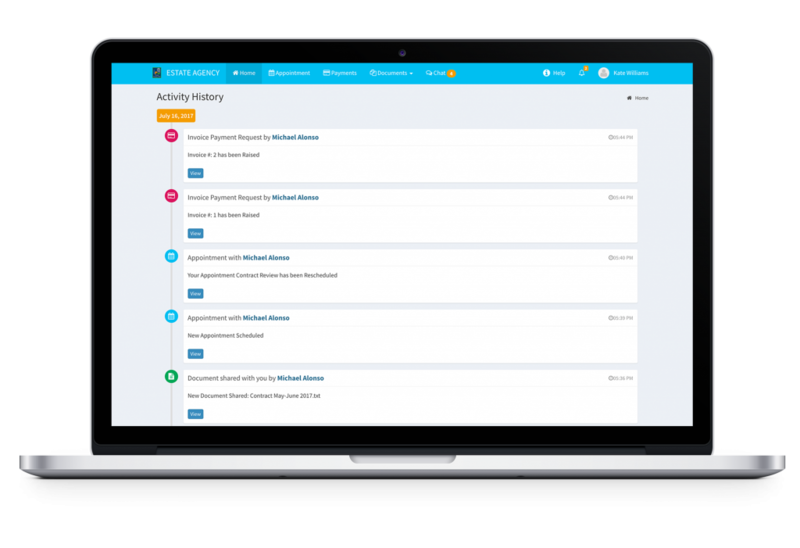 Grow in Cloud also has a contact management feature which allows you to access all your clients’ data and history in one easy-to-use platform. Online invoicing feature of Grow in Cloud also allows you to get reports on financial aspects of your company straight away. Don’t lose out by not having the option for clients to book or pay online! To start a free 30 day trial and see how other features can help your accountancy business, sign up here and see just how easy Grow in Cloud is to use. Online Invoicing-is it really a cost effective move?